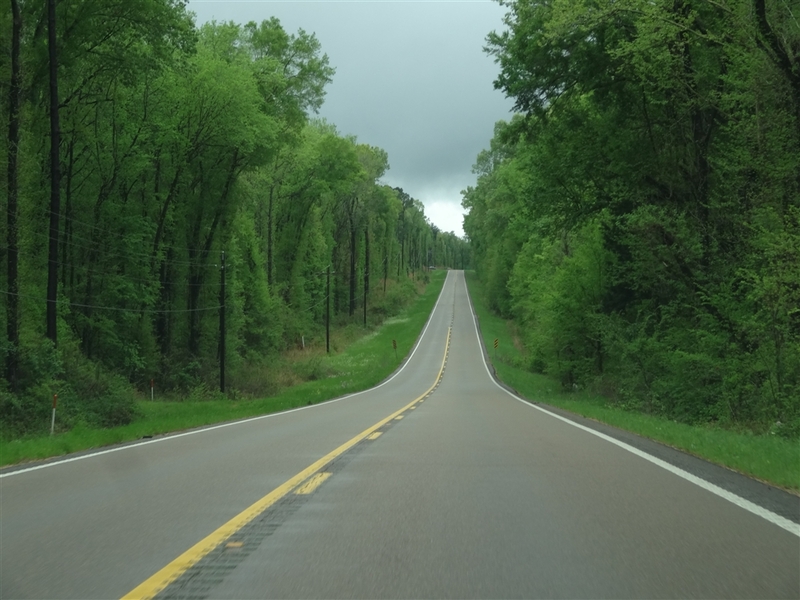 It took us a whole day to get from the Mississippi-Tennessee border to our main destination in the Magnolia State, the Lower Mississippi valley with its historic towns of Vicksburg and Natchez (you can read more about the rest of state in the previous entry). We arrived at Vicksburg in the late afternoon and headed straight towards the Vicksburg National Military Park. 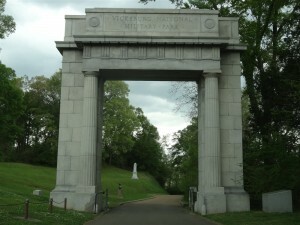 Run by the National Park Service it preserves the site of the American Civil War Battle of Vicksburg in 1863. The park includes over a thousand historic monuments and markers, miles of historic trenches and earthworks, a 16-mile tour road, a walking trail, antebellum homes, 144 cannons and restored gunboat USS Cairo (sunk in 1862, on the Yazoo River and recovered in 1964). We arrived at the start of the tour road about half an hour before its closing which meant we got inside for free. We were worried that someone would rush us along the route but we soon realized that once inside we could stay actually way past the official closing time. At the end of the tour road there was simply an automatic gate which let us out of the park. In fact the late visit had many benefits. First, we avoided the crowds, second, we didn’t have to pay and third, we escaped the heat of the southern day. Along the tour road are located numerous trenches, earthworks and gun placements as well as 32 state memorials. As much as I am interested in the American Civil War history studying trenches and other details of the battlefield was a bit too much even for me. But the state memorials were absolutely fascinating. Basically the legislation that established Vicksburg National Military Park in 1899, gave authority to the States which were involved in the siege, and defense of Vicksburg, to erect monuments in memory of their soldiers. These were then built over the years in various styles. Some of them are simple obelisks while others are elaborate structures. 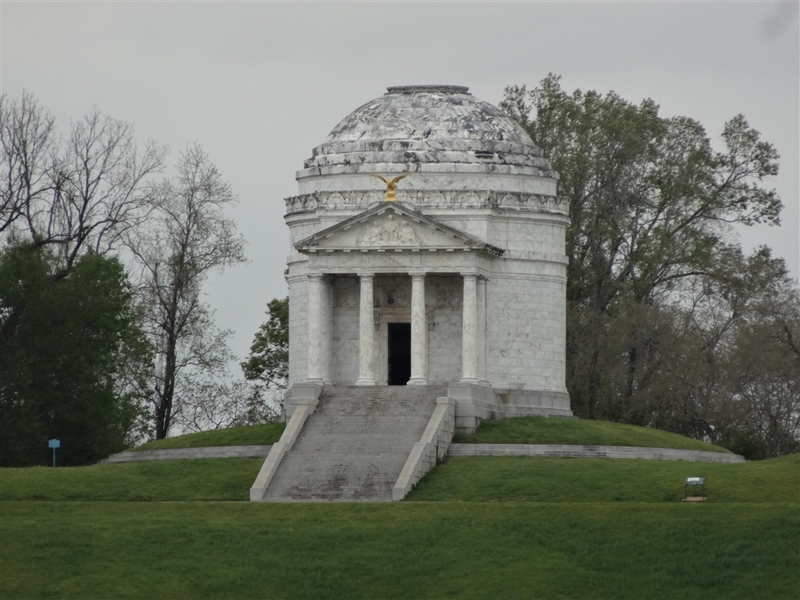 None of them more so than the Illinois Monument which was modelled after the Rome’s Temple of Minerva Medici and the Pantheon, and constructed of white marble. 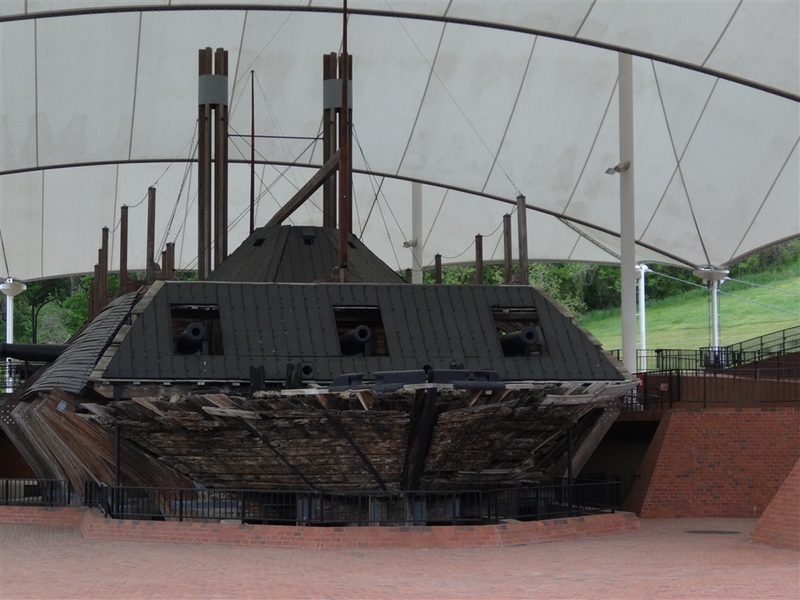 Towards the end of the tour road we arrived at the preserved remains of an ironclad gunboat USS Cairo. The museum was closed by then but the boat is actually placed under an unenclosed roof canopy so we could still have a look from the outside and take a few pictures. Some military buffs could probably spend days in the park but by then we had had enough. 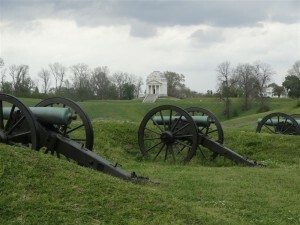 Besides, it was getting late so we decided to drive to the town of Vicksburg itself. Downtown Vicksburg is picturesquely located on the high bluffs over the confluence of Yazoo river and the mighty Mississippi. And I mean really mighty. A couple of years ago I had the opportunity to travel along the Mississippi in the Midwest but here in Vicksburg it was much, much wider, especially as it was swollen by the spring rains further upstream. That night we stayed in one of the river casinos as gambling establishments are usually good value for money (of course as long as you don’t gamble yourself). Here a word of explanation. Mississippi, together with a few other states, legalised gambling as long it is held on boats, even if those boats don’t ever sail anywhere (some of them don’t even have engines). We ended up precisely on one of those boats without any engines. Well, the casino was on boat while the hotel part of the complex was actually on a dry land. It was OK (if a bit run down) but nowhere near as good as the Indian casino we once stayed in while in Colorado. Still, better this than the Days Inn the day before. Next day we headed further south using small local highways along the Mississippi river. These roads cut through the lush southern vegetation teaming with birds and small critters. While researching our route the day before we found a place called Windsor Ruins and decided to visit it. It suppose to be located close to a small community of Port Gibson (pop 1500) but after driving across the town two or three times we failed to spot any sign pointing to it. All we found was an imposing Confederate Monument across from the courthouse. Finally a lovely lady in the tourist information (which just reopened after a lunch break) drew us a map how to get there. The Windsor Ruins is a weird site. It consist remains of 23 columns which once supported roof of a large mansion. Built in 1861 it was one of the largest antebellum mansions in the south but it burned down in 1890. Nowadays the ruins look not too dissimilar to an ancient Greek or Roman temple, only the subtropical vegetation spoils the feel. South of Port Gibson we joined the Natchez Trace Parkway. This scenic route, managed like Blue Ridge Parkway by the National Park Service, connects Nashville with Natchez and stretches for 444 miles (715 km). It is a scenic road designed purely for pleasure drives as commercial traffic is banned along the entire route. Of course we only drove the last short section leading to Natchez. 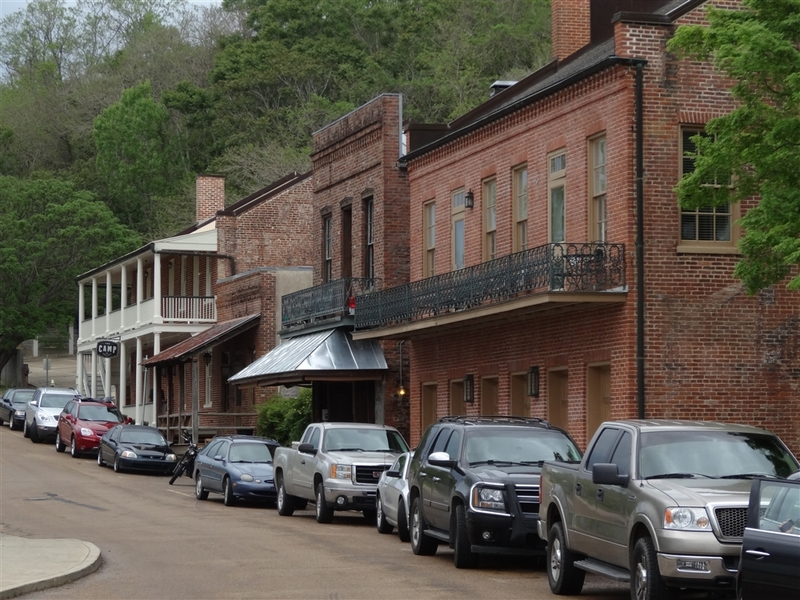 The town of Natchez was our last stop in Mississippi. Similarly to Vicksburg it is also located on a high bluff overlooking the Father of Waters or the Big Muddy as the Mississippi is sometimes called. Especially the second term seemed appropriate during our visit as the river was brown from mud and swollen by the rains upstream. The town was established by the French in 1716 hence it is one of the oldest European settlements in the Lower Mississippi valley. During the colonial times it was run by France, Spain and Britain before being finally ceded to the US in 1783. It subsequently served as the capital of Mississippi territory and then Mississippi state. History is everywhere here. Natchez is home to some of the best preserved and architecturally stunning antebellum homes in the American South, as it was once the wealthiest city in America. We had a stroll around the historic downtown which was very pleasant but the best part is the lower town at the bottom of the bluffs, right on the river. It is called Natchez Under-the-Hill and it was once an infamous red lights district. 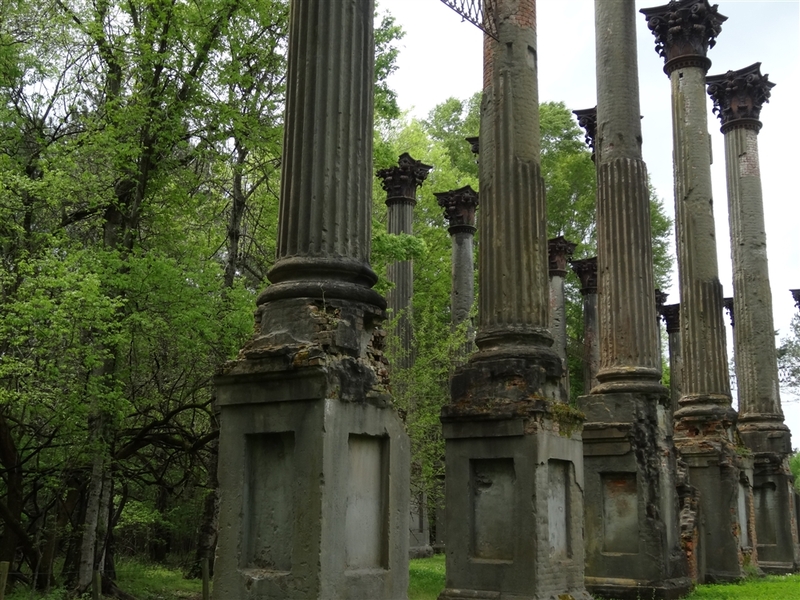 If the upper Natchez was all about grand mansions and higher classes this area was described by numerous nineteenth-century travelers as one of the rowdiest ports on the Mississippi River Taverns, gambling halls, and brothels lined the principal street. Here, rumour had it, the only thing cheaper than the body of a woman was the life of a man. Nowadays the atmosphere here is much less rowdy and it is a pretty nice place, with restored buildings, including a really cool Under-the-Hill Saloon. We would have gladly stayed longer in Natchez but some serious storm clouds were gathering and Louisiana was also calling. So we decided to cross the Mississippi and enter the Pelican State. Before that we treated ourselves to a cheap but super tasty BBQ in Pig Out Inn. It was really great (however I have to warn you that I am a bit biased as I love American BBQ). As soon as we left Natchez (and Mississippi) and crossed the river the heavens opened and the tropical downpour started. So, how was our experience of Mississippi? I have to admit that it started a bit disappointingly on the outskirts of Memphis but the state grew on us with every mile we travelled across it. By the time we got to the river towns of Vicksburg and Natchez we were utterly enjoying our time in the Magnolia State. I’m sure you can also have a great time there if you only forget about the bad press the state sometimes gets. Remember that most people who complain about it or dismiss it as boring never actually went there. Don’t be like them. This entry was posted in Uncategorized and tagged Mississippi, Natchez, Natchez Trail Parkway, Natchez Under-the-Hill, USS Cairo, Vicksburg, Vicksburg National Military Park, Windsor Ruins on October 16, 2014 by admin.